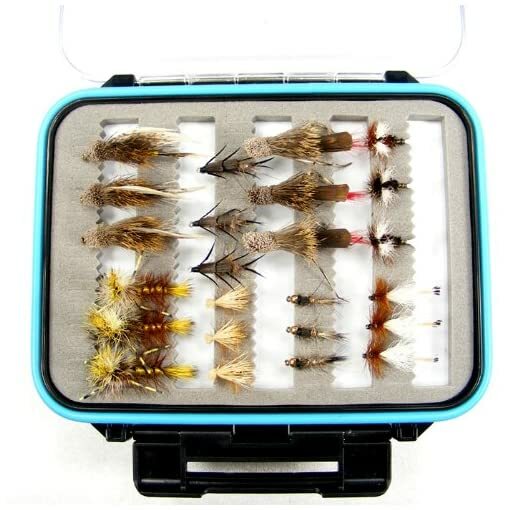 Double-sided Large Waterproof Fly Box with Microslit Foam Clear Lids 4" X 5"
Holds dozens of streamers, hoppers, dry flies and nymphs! 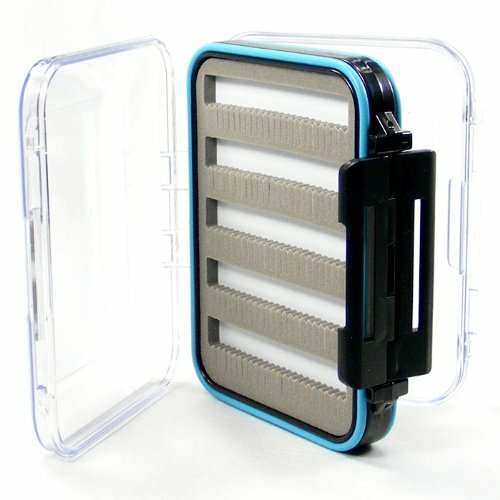 Color: Clear with aqua center band. 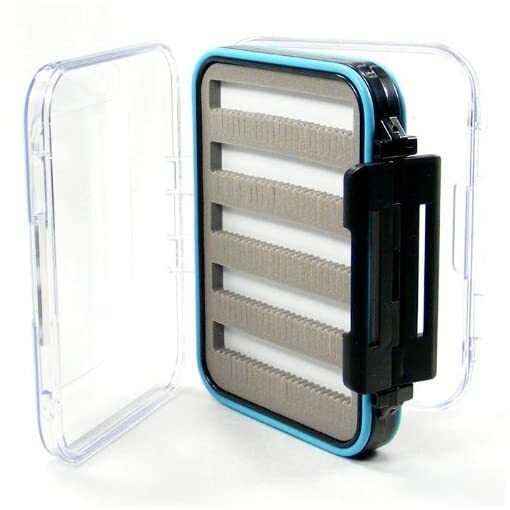 These outstanding two-sided fly boxes feature micro-slotted foam to easily secure and remove flies, water proof gasket on both lids, lightweight, see-through lids for easy fly ID, easy one finger push-button opening allowing access to both sides individually. 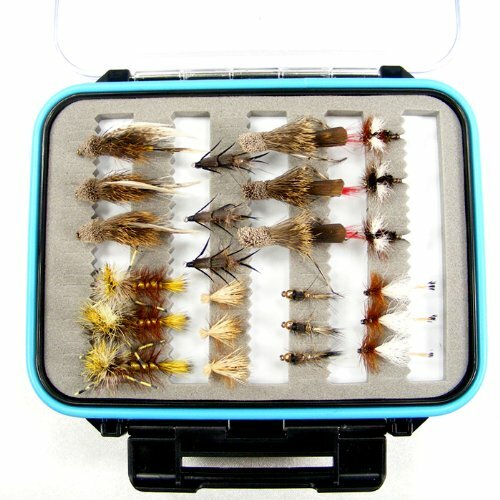 Holds dozens of streamers, hoppers, dry flies and nymphs!